At Moovly, we’re big admirers of animation. From Oscar-nominated animated movies to whiteboard explainer videos, we love everything about animation. We are, after all, a video animation platform. We’ve heard too many people claim that creating animations is a challenging and costly process, which is what prompted us to write this blog. 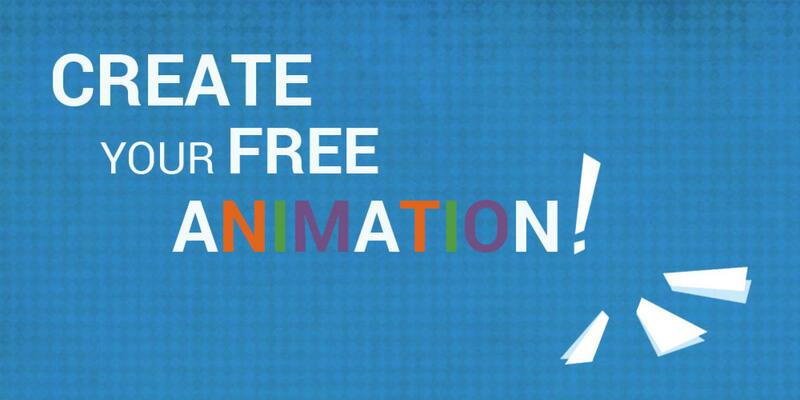 To inform you how to create free animations, of great quality and in a timely fashion. Yep, the title may have given it away, but we are talking about creating your animations through Moovly! Moovly is an online video animation maker that is entirely cloud-based. There’s no need to download any software, all you need is an active internet connection and a working web browser. With Moovly, there are different licenses for you to choose from, including educational and business packages. If you are not sure where to start, make sure to sign up for our Free Trial license. Some people like 2D animations, others prefer 3D animations. The beauty of animation is that it is so diverse. And diversity is exactly what you get on Moovly! The Moovly libraries contain over 1 million free assets, including professional-quality videos, motion graphics, music, sound effects, photos, and illustrations, all royalty free and free for you to include in your creations! Don’t find what you need? Explore another 75 millions additional media assets in the integrated iStock (from Getty Images) libraries! The Doodle Marker style is one of the most popular animation styles today. The Doodle Marker style is perfect for grabbing attention and entertaining your viewers. Bring colored infographics or pictogram-style graphics to life using the Infographics library. Another recent addition is the Clean Graphic Library. With over 100 different elements, this visual library is ideal for professional presentations and works great to give emphasis to your message. The Storyblocks library gives you access to 1 million free – and royalty-free – stock videos, photos, illustrations, motion graphics, music and sounds! No worries about copyright, all these assets are free for you to use in a legal way. More and more businesses around the world are using video to win clients, engage audiences, explain their services and stimulate their brand. As a business, animated video content helps you to get your messages across to employees and clients. With Moovly, you can make stunning videos without the need of having design skills or technical training. Get your message noticed and remembered with animated videos. Here’s some inspiration: have a look at the staff picks of our User Gallery to check out what other users have made with Moovly!